My parents’ house was quiet and last minute preps were pretty much finished by 5:00 p.m. on Christmas Eve when I retreated to the bedroom to reread “A Christmas Memory,” Truman Capote’s timeless and touching memoir of a childhood Christmas in Alabama. I’ve lost count of how many times I’ve read that beautifully written story. As tumultuous as Capote’s later life became, “A Christmas Memory” is an enchanting and innocent tale of a seven-year-old boy and his 60-something-year-old distant cousin making fruitcakes and homemade presents in Monroeville in Depression-era south Alabama. I saw Capote read the story live during an appearance at The University of Alabama and it is still a cherished and moving literary memory. Capote was in his later years – he was only 59 when he died in 1984 – and his various addictions and career disappointments had taken their toll. His legendary bitchiness was definitely on view that night in Tuscaloosa as he read and commented on various passages from his career. When he read “A Christmas Memory” to end the evening, however, he seemed somehow transformed. The arch bitterness left his voice and one felt like we were seeing a brand new Capote – untouched by the jadedness and later trials of his life. There were many cynics in that audience – I was one of them – and I will venture to guess that most of those in the room were Alabamians who had grown up with the story; it was my first-hand observation that none of us left the room unmoved by the power of that beautifully written memoir told in such an honest and loving voice. Then it hit me. I have seen no chocolate-covered cherries in my parents’ house this year. 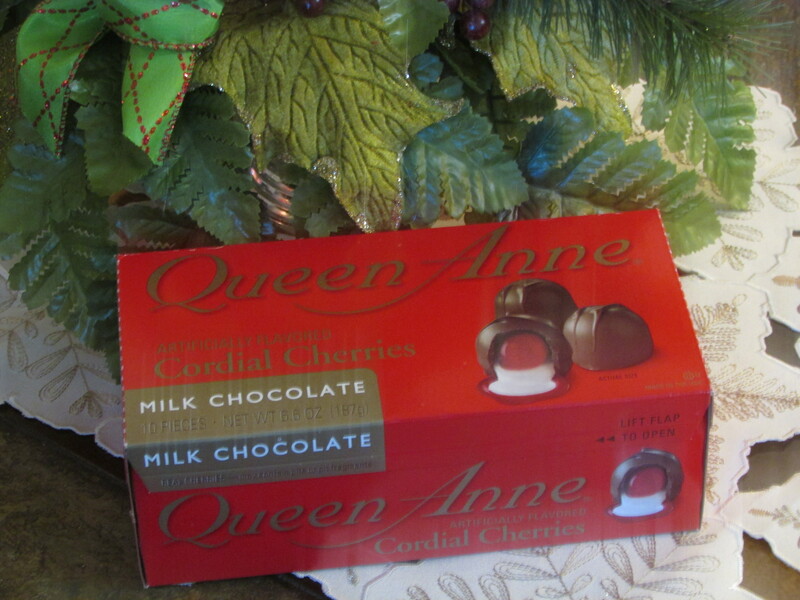 My dad loves chocolate-covered cherries at Christmas – the inexpensive kind you find at the discount stores. As long as I can recall, there were always boxes of them at the house, gifts from friends who know about Dad’s passion. Some of the friends who always supplied the boxes of cherry treats are now too far away for the gift exchange. My sister-in-law and nephew always make chocolate-covered cherry mice around the holidays and this year’s batch had already come and gone closer to Thanksgiving. For years, I would send Dad a box of the Harry and David chocolate-glazed Bing cherries until my mother confided that he really preferred the cheap cherries you could get at the drugstore. And this year it was Christmas Eve and there were no chocolate-covered cherries in the house. I looked at the clock – 5:20 – and went in to where Mother was reading. I told her I’d be back and headed for the door. She whispered who is going to be open now? and I assured her that there were places open until 6 or later on Christmas Eve. “Try the drugstore first,” she said. The drugstore was crowded but near the front door were shelves with chocolate-covered cherries on sale – two boxes for the price of one. I grabbed two boxes, wished the cashier a Merry Christmas, drove back to the house, and passed the chocolates off to Mother who put them in stockings at the fireplace. With my Christmas shopping finally done, the clock struck 6:00 as I went back to the bedroom and finished Capote’s story. This entry was posted in Christmas and tagged "A Christmas Memory", Alabama, memoir, Truman Capote on December 25, 2014 by gedwardjourney.